This intensive workshop will address the fundamental issues of breathing to support the voice, voice quality, volume and power, articulation and care of the voice. Participants will learn a professional warm-up, how to deal with vocal problems and what to do about bad habits. Participants should come wearing comfortable clothing and are encouraged to bring two copies of a favourite monologue or poem. This text should include the original punctuation. Saturday, October 27 – 2:00 p.m.-5:00 p.m.
Sunday, October 28 – 10:00 a.m.-1:00 p.m.
Susan Stackhouse is a specialist voice, speech and dialect coach as well as an actor. She received her training at Dalhousie University, the National Theatre School of Canada and the Central School of Speech and Drama in London, England, as a recipient of the prestigious Chevening Scholarship. Susan began her career as an educator at George Brown College, in the Performing Arts Department and then moved to her home province of Nova Scotia where she now has the position of Professor (Acting Program) and Associate Director (Productions) in the Fountain School of Performing Arts at Dalhousie University. Susan continues to act and voice coach in a professional capacity and she has directed several DalTheatre productions (The House of Bernarda Alba, 7 Stories, Our Town and Pride and Prejudice). Her research also includes collecting Canadian dialects as an Associate Editor for the world's first online dialect and accent repository, The International Dialects of English Archive. She was the recipient of the 1999-2000 Faculty of Arts and Social Sciences Award for Teaching Excellence at Dalhousie. 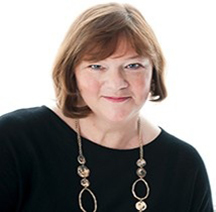 Susan spent sixteen seasons with the Shaw Festival in Niagara-on-the-Lake, Ontario both as a member of the acting ensemble and also as a voice coach. Some highlights of her acting career include appearing in Pointe Valaine, An Inspector Calls, Peer Gynt, Marathon ’33, The Voysey Inheritance, Cavalcade (2 seasons), The Vortex (2 seasons) and Simpleton of the Unexpected Isles (all at the Shaw Festival), The Women (at both the Shaw Festival and the Royal Alexandra Theatre), The Road to Mecca, The Corn Is Green and Life With Father (Theatre New Brunswick), The Real Thing and Matty and Rose (Persephone Theatre). She has voiced coached many professional theatre productions (including Strong Poison and The Seafarer for Royal Manitoba Theatre Centre) and feature films (including Relative Happiness, The Memory Keeper's Daughter, The River King and Pyromaniac's Love Story) and for the past three years she has been associated with the Citadel/Banff Centre Professional Theatre Program. Most recently she appeared in Under Milk Wood at various theatres in Nova Scotia and New Brunswick, at the Neptune Theatre playing the parts of the Nurse in Romeo and Juliet and of Nat in the Pulitzer Prize-winning play Rabbit Hole (for which she won the 2011 Robert Merritt Award for Outstanding Performance by an Actress in a Supporting Role). Since returning to live in Nova Scotia she has been invited to act at the Blyth Festival, Ontario in The Eyes of Heaven by Beverley Cooper and World Without Shadows by Lance Woolaver, at Ship’s Company Theatre in The Parrsboro Boxing Club, at Neptune Theatre in For The Pleasure of Seeing Her Again, and at Festival Antigonish Summer Theatre in the roles of Madame Arcati in Blithe Spirit and Nana in For The Pleasure of Seeing Her Again (for which she was nominated for a Robert Merritt Award for Outstanding Performance by and Actress in a Leading Role). Susan can be heard in several episodes of of the award winning CBC radio series Backbencher, playing the role of Anna Dobchuck (NDP House Leader). Susan is a huge supporter of the Nova Scotia Talent Trust, a not-for-profit registered charity that helps ensure the future of Nova Scotia's vibrant cultural life by providing scholarships to Nova Scotians who demonstrate exceptional potential and commitment to becoming established artists in their chosen fields.